We at Digital Module Technologies, belief in ease of workload of our customers. Customer satisfaction is our biggest asset. 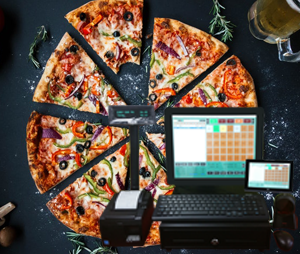 DMEasyBiz Pizza Store Cash Register (POS System) is the designed and developed with the purpose to solve all the needs of the pizza store business. With CallerID integrated. No need to type customer name and phone number, the system will do it for you and if it is a repeat customer, the system will show address, buzzer no. etc. all the required details for delivering, Instantly pull all the order history and make it faster to repeat/re-order. As well It will allow you to add specific topping to each and every type of pizza. 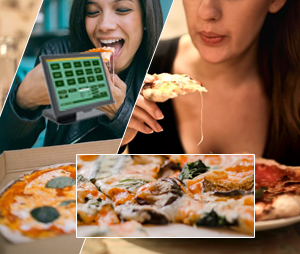 You will be able to handle up to more than three sizes of one pizza and its toppings according to the size. 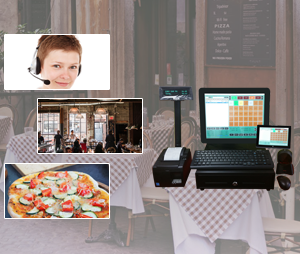 This system provides you easy to use and customizable interface. 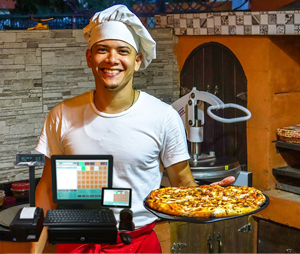 For Pizza business, it is very important to have such a system which will allow them to give the history of orders placed by a specific customer. DMeasyBiz will allow you to order any of the previous order. 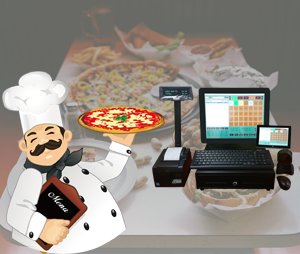 DMEasyBiz system keeps track of your customer’s orders and enables you to provide loyalty points to the customers. 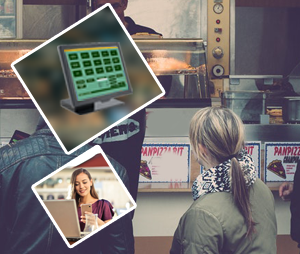 Eat-In/Walk-Ins Orders – A quick service for the walk-in orders or for the customers who just want to order a few slices of sweets and cans of soft drinks. 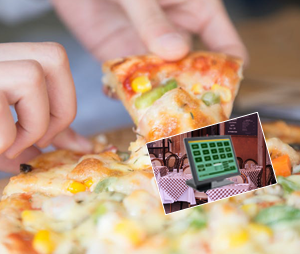 Takeout Order – With CallerID integrated, No need to type customer name and phone no, the system will do it for you to make the process faster. 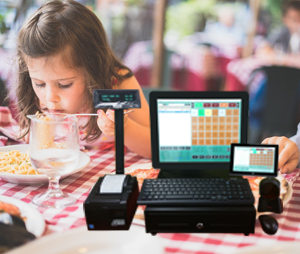 Instantly pull all the previous orders of the customer and make it easy to re-order. 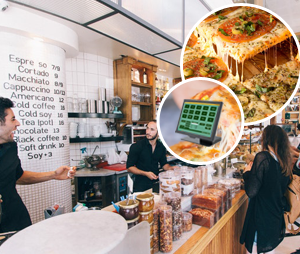 Delivery Order – With CallerID integrated. No need to type customer name and phone no, system will do it for you and if it is a repeat customer, the system will show address, buzzer no. etc. all the required details for delivering, Instantly pull all the order history and make it faster to repeat/re-order. Get delivery distance in KM, Delivery charges calculation on the basis of Distance and many more. Driver module to track departure, arrival, money drop, driver tip handling and close order from driver module including wireless payment terminals. 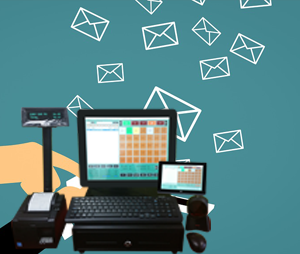 DMEasyBiz POS System provides you emailing feature as well, to make the system paperless and to save your resources. after each and every transaction it will ask you to email or print or do both the actions. As well, to analyze your sales, employees performance, customer’s orders, our system will generate reports. You can email these reports as well will be able to print. Employee Roles – Role-based security and Access code to the employees to restrict the area of access to the system and track employee orders, tips and commissions. 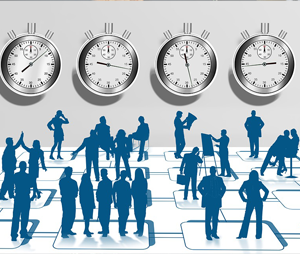 DMEasyBiz interface is designed after analyzing the user requirements and user flow. You will get very easy to use and understandable system. 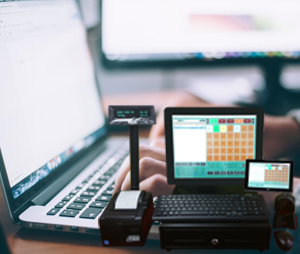 Moreover, our team members will provide you with full training and customer support which will help you to perform actions on the POS system.